1.2 tons of cooling meets 15,000 Btu of heating in this Friedrich PTAC with Heat Pump, but the standout qualities of this unit go above and beyond: this is all about how it gets the job done. With revolutionary dual motor technology and sensors that detect evenly across the room, this is one of the quietest and most effective PTACs you'll come across. So let's start with what your guests will think. The ability to control the cooling thermostat separately from the heating adds an extra layer of control you don't find every day, and by testing the air every nine minutes, the temperature control flexibility is nearly unmatched. 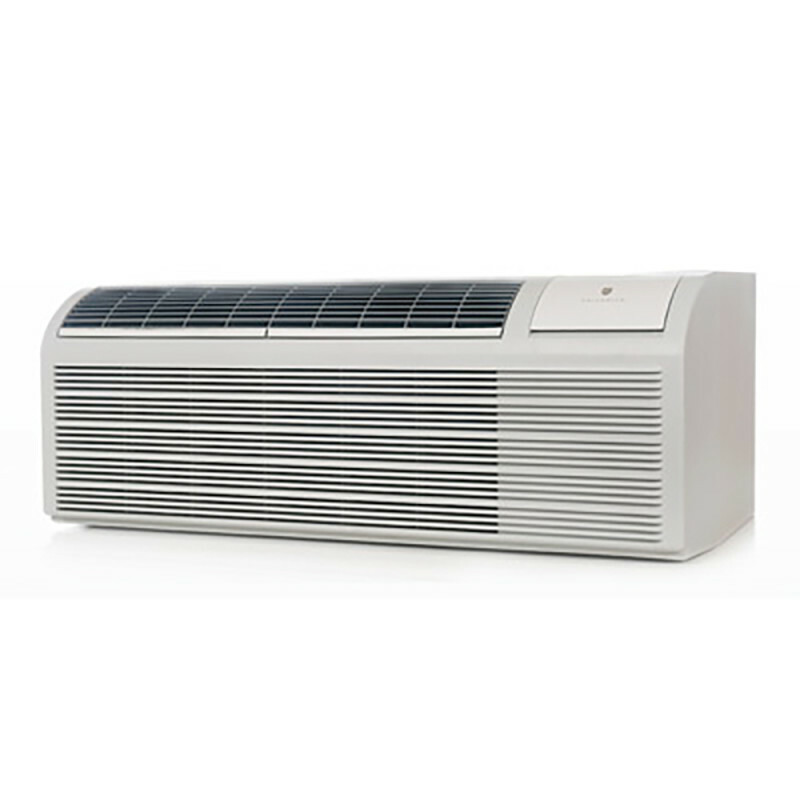 Constant fan mode adds a nice layer of white noise to any setting, reverse airflow can be set to push air outside, and Instant Heat mode utilizes the heat pump to quickly warm up a room in a way resistive electric heat just can't match. The dehumidifier feature also takes care of 3.2 pints per hour. But perhaps most notable is the sound level. 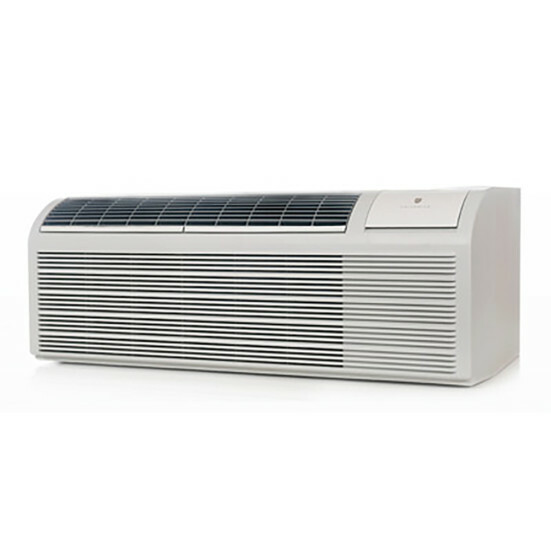 By placing the louder of the two motors on the section of the unit closer to the exterior, the noise is considerably reduced, sounding like the lowest setting on alternative air conditioners when it's actually on full blast. From a management perspective, this unit might be even better. It's compatible with front-desk control and energy management systems, both the heating and cooling thermostats can have individual limits set to them, and it will even kick on from standby mode to warm up a room if it drops below 40 degrees Fahrenheit. Anti-corrosive technology and permanently lubricated motors ensure long-lasting operation, and the outdoor coil is particularly durable, designed to take on a constant barrage from the coast as well as every season. When a Friedrich PTAC with Heat Pump fits your electric restraints and air-conditioning needs, few things are more routinely satisfying, for both owners and guests alike.